With the involvement of so many genetic and molecular alterations in cancer, it is nearly impossible to know what pathway to target for a clinically significant outcome that also has a low toxicity level. In this interview, Lisa Pickering, MRCP, PhD, of The Royal Marsden NHS Foundation Trust, London, UK, speaking from the Genitourinary Cancers Symposium, in San Francisco, CA, objectively compares retrospective and prospective studies for penile cancer, emphasizing the lack of the prospective studies. 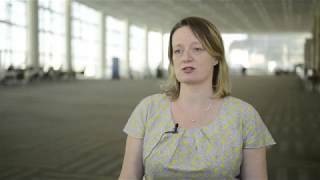 She discusses recent trials, including HER-Uro01 (NCT01728233) and the large-scale InPACT study (NCT02305654).